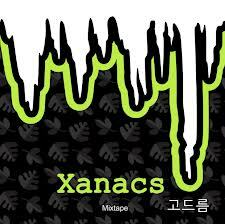 Xanacs – New Mixtape “고드름” Korean Hip-Hop!!! | Japaneze Jusu!!! ようこそ!!! Xanacs – New Mixtape “고드름” Korean Hip-Hop!!! Xanacs is a Korean rapper! (Yes, I LOVE my Korean Hip-Hop! LOL). Here is his new mixtape “고드름“. This mixtape is really good! There are many good tracks including the track “고드름 옥탑보다 옥탑“. Lana Del Rey’s “Off To The Races” has been sampled. I love Lana Del Rey’s song, but nevertheless, Xanacs’ flow is good so I like his rap over this beat. Check it out! Also, check out Lana Del Rey’s “Off To The Races”. ← Whutuf – New Mixtape “整理 정리” Korean Hip-Hop!! !